There is a lot of talk going around about real estate investing. It seems everyone is involved in the hype, saying it is now the perfect time to make an investment since interest rates are low and the housing market is still crippled. The combination of low interest rates and low selling rates seems to be the golden combination, but it isn't always as easy as some make it seem. Getting financed to make a real estate investment can be difficult, since banks can no longer afford to take a risky gamble. Investors are looking for reputable investors with solid income and savings, large down payments, and excellent credit ratings. Most people don't have all of that going for them, and chances are you do not either. That doesn't mean you won't get financed. It just means you may need to work to enhance yourself in some of these areas or you may need to consider non-traditional financing options. While it is sad that so many homeowners are going through foreclosure or are threatened with foreclosure in the near future, their tragedy brings opportunity to people who can afford to invest. Many of these homeowners are entering into alternative financing deals. Rather than requiring buyers to work with lenders independently and secure loans on their own, homeowners are making deals with buyers because they are desperate to get the weight of the debt off their shoulders. It is possible to get a homeowner to work with you on the financing, but you will have to spend quite a bit of time looking for the homeowners open to those deals. You will also have to do some research into the options, so you know what to present to homeowners when you communicate with them. The alternative to that is working to strengthen your case in the above listed areas. This ensures that traditional lenders see you as less of a risk and are willing to work with you in some manner. Your goal should be to secure a fixed mortgage rate, unless you are certain you can pay off the loan before an adjustable loan starts to get too high. Start by checking your credit. To get loans for real estate investing, you need your scores to be at or above 700, or at least very close to that. 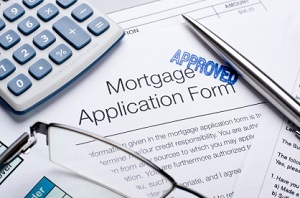 Most lenders will consider you a risky investment if they see a score below 680. Make sure to check all three scores (you can check it for free once a year). If there are any mistakes, dispute them and get it cleared. If you have small outstanding debts, pay them off. Make sure all of your payments are made on time every month and do not close out any of your lines of credit. You may not be using them, but they must be left open so they boost your scores. If you have a good credit score, you may visit a mortgage lender to see how much of a down payment you may need to be taken seriously when looking for loans for real estate investing. They should go over all of your financing options and steer you in the right direction or traditional financing.